Wild Breads is an Australian specialty wholesale bakery producing high-quality baked goods under the Sol Breads, Nomad Breads and Wild Breads brands. Using age-old bread recipes and only the finest ingredients, our team of passionate bakers create European-style artisan breads and seasonal baked goods for every occasion. Wild Breads operates a world-class baking facility committed to excellence in baking with exceptional hygiene and food safety standards. We deliver high quality and consistency across our entire range of specialty bread products. Authentic, all-natural, certified organic sourdough breads. No added yeast. Australia’s favourite flatbread made with simple ingredients from an age-old recipe. Wholesale, private label & contract manufacturing. Baking high quality, speciality bread is not new to Wild Breads. Back in 1997 it was difficult to find rustic, European-style sourdough loaves in Australia. 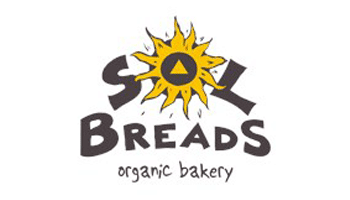 So we decided to bake our own and Sol Breads was born. Our first handmade stone-baked sourdough bread, a Campagne loaf, was made from simple, wholesome ingredients at our humble premises in a converted garage. Word got around and we quickly moved to larger premises, selling our authentic artisan breads to wholefoods stores, specialty shops and markets. 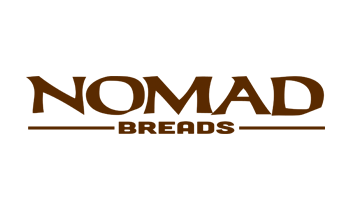 Today, Sol Breads is part of the Wild Breads family, along with Nomad Breads and Wild Breads Food Service division. 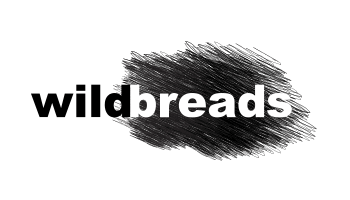 Wild Breads is a dynamic wholesale bakery and our bread range has grown from stone-baked organic sourdough to artisan flatbreads, exotic flavoured loaves and rustic gluten free breads, with many other interesting and delicious products in development. We still use the simplest, freshest ingredients possible. And while you can still buy our breads at your local wholefoods store or market, our Sol Breads and Nomad Breads brands are now also stocked in Australia’s leading supermarkets. Each and every Wild Breads product is crafted in a state of the art baking facility complying with the strictest hygiene and food safety standards. No GMO Ingredients | No Trans Fats | No High Fructose Corn Syrup | No Palm Oil. We also use only 100% Australian wheat. But the most important ingredient in our bread isn’t our flour. It’s our bakers. Our team of highly skilled bakers are recruited from around the globe and bring with them exceptional bread making traditions and techniques. Wild Breads products are available to food service customers and wholesale customers in Australia and internationally, in fresh, frozen, thaw-serve and par-baked options. Wild Breads speciality breads are served in cafés, restaurants, delicatessens and baked fresh at in-store bakeries through major retail chains. Our research and development focuses on emerging consumer tastes allowing our bakers to respond quickly to new product trends, giving our customers a competitive edge. Talk to us about your food service requirements or wholesale bread ordering today. Stephen heads up the Australian and USA business units in his role as CEO and Managing Director of Wild Breads. He commenced his career as an apprentice/trainee at Defiance Milling. After broadening his skills with a tertiary degree in commerce, he has successfully led reputable Food, Beverage and Agri businesses in all States and Territories in Australia, as well as holding executive and directorship roles with international companies in the USA, Middle East, Asia Pacific and the African continent. Jonothan has extensive Accounting experience, both in Australia and overseas. His passion is continuous improvement and developing both the skills of the Finance Team and financial awareness across the business. Iain has been with Wild Breads since 2006 and has held several positions within the business including roles in Operations, Management and Sales. Having previously worked for many years within the luxury retail industry where Ian had buying, retail and commercial experience he found his passion for the food industry since moving to Australia in 2004. Iain is now Group Sales Manager with direct responsibility for Key Accounts. Kim is the architect and founder of the Wild Breads business. Starting from a small garage in West End some 20 years ago, Kim has developed the business with the help of some great people, some interesting acquisitions and some great partners to the point where Wild Breads is now supplying its products across Australia and the world. Rob is a co-founding partner of Wild Breads in 2005, from 2005 to 2016 Rob operated as the Sales and Marketing Director for the Australian operation. Currently based in the USA and for the past two years, Rob represents the Wild Breads USA LLC entity as the President / COO responsible for developing the export into North America market. Jason is an experienced Human Resources Manager who has been working in People and Culture, WHS and Payroll spaces for the last 20 years and has a wealth of experience regarding human resources, labour management and is committed to zero harm to ensure the safety of workers. Mike has been part of the team since 2015, his career includes 21 years with Coles Supermarkets in Australia, holding various positions including National Merchandise Manager Grocery, National Business Manager Private Label, National Replenishment Manager, State and National Category Manager. Tamara is an experienced Food Safety and Quality Manager who has been working in the food production for the last 20 years and has a wealth of experience regarding food process, quality control, continuous improvement and quality assurance. She has a Masters degree in Science. PO Box 3257, Darra QLD 4076, Australia.